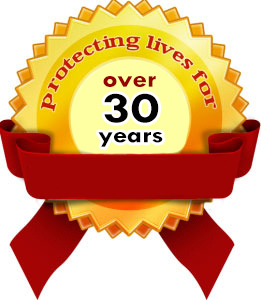 Guardian Pool Fence Systems has been bringing you the best mesh pool fences for over 30 years. Our CEO, Steven Sadinsky, began working in the mesh pool fence industry as a dealer in 1988. With experience as a licensed contractor and father, Steve naturally developed new ways to improve the standard mesh pool fence. 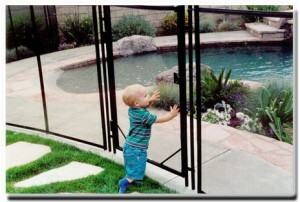 In 1995 he was able to bring his inventions to life when he founded Guardian Pool Fence Systems. Through Steve’s designs and patents, the mesh pool fence industry was introduced to new safety and customer-demanded features which secured Guardian’s place at the top of the mesh pool fence industry. Guardian is sold by dealers around the world but remains a family business. Our products are made in the United States. Steve has been a pioneer in the development of today’s safest and strongest removable mesh fences and he now works closely with his son, Adam Sadinsky, who is just as excited to contribute to pool safety and Guardian’s continuous growth. Together, they continue making strides in the mesh pool fence industry and work to ensure Guardian Pool Fence Systems remains the safest mesh pool fence on the market. Why OUR Mesh Gate Puts The Others To Shame? Just two years after opening our doors, Guardian Pool Fence Systems engineered and developed the first and original climb-resistant, self-closing, self-latching, key lockable mesh gate. Our gate, like our fence, has no top crossbar of any kind that a child could possibly gain leverage from when attempting to climb our gate. Instead of a top crossbar, we designed our gate with trusses on each side that controls gate tension. Many of our competitors have imitated our engineering but our patented design ensures that we have the safest mesh pool gate out today. 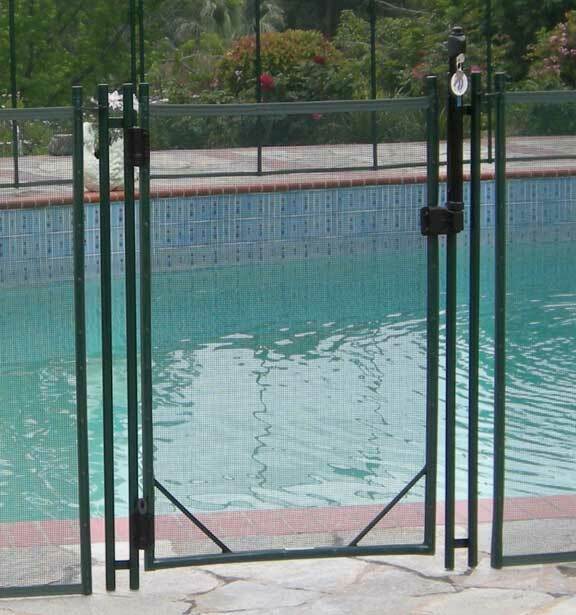 No other pool fence company anywhere has a climb resistant gate design. Building departments around the world have rejected mesh pool fences as a viable barrier because they are not permanent. The convenience of removable mesh pool fencing is a valuable feature to our regular customers but when needing fencing to satisfy state agency regulations, for places like foster homes and day-cares, having a mesh fence is also attractive for its gentleness with children. Stepping up to the challenge in 2005, Guardian Pool Fence Systems started designing a locking sleeve to use with our Original pool fence pole. This new invention would prevent fence pole removal without the use of tools. In 2008, after more than two years of trials, three prototypes, and assistance from a Guardian Pool Fence Systems dealer, we completed our design and patented the first and only mesh pool fence that meets building code*. After launching our Premier Fence Line we created a new locking deck sleeve, which became our standard, and received its U.S. Patent in 2014. This gives Guardian mesh fences that meet building code*. We heard your demand and in 2013 we delivered. Whether you’re a renter, only have children visit occasionally, or you simply don’t want to drill holes in your deck, we have engineered a solution for you. Our No Holes pool fence provides a base for our poles to stand from. These bases, when filled with water are difficult to move, securing your fence in place, yet, upon emptying, easy to remove and store. You can bet this No Holes mesh fence will provide the same quality and safety you have grown to expect from a Guardian product. * Guardian’s Premier Mesh Pool Fence with Locking Deck Sleeves complies with Los Angeles City and County Building Code, one of the strictest Counties in the United States. If you live outside of LA County and need a fence to satisfy regulatory agency requirements or new construction codes, please reference your local agencies and building departments to determine if we satisfy their required specifications. Our trained and certified dealers serve the rest of the U.S., Canada, Europe, South America and Africa. PLEASE CONTACT US FOR YOUR LOCAL DEALER INFORMATION! Patent granted for No Holes Pool Fence System – Ability to change direction while keeping fence tight.